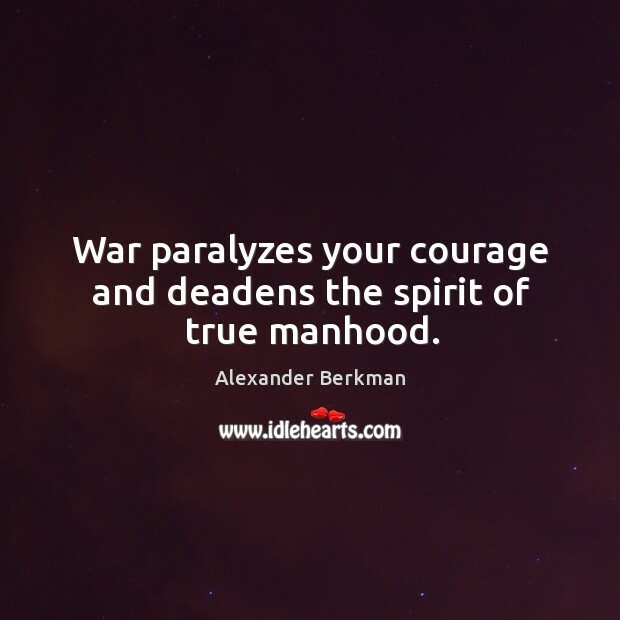 Enjoy the best inspirational, motivational, positive, funny and famous quotes by Alexander Berkman. Use words and picture quotations to push forward and inspire you keep going in life! 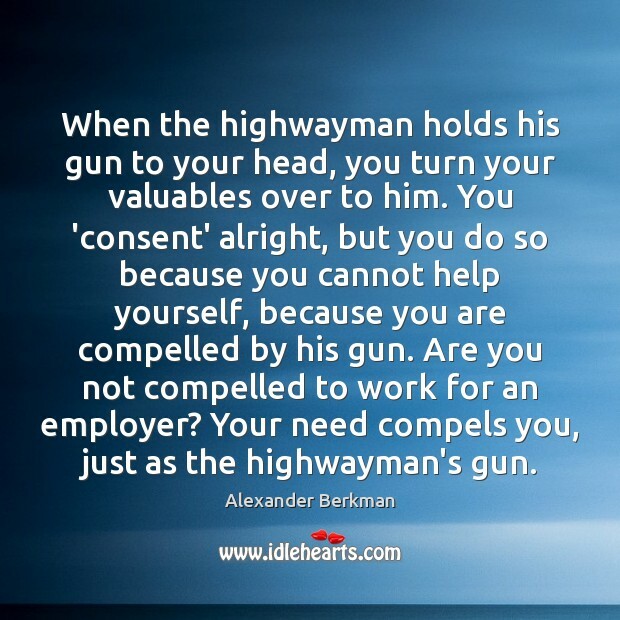 When the highwayman holds his gun to your head, you turn your valuables over to him. You 'consent' alright, but you do so because you cannot help yourself, because you are compelled by his gun. 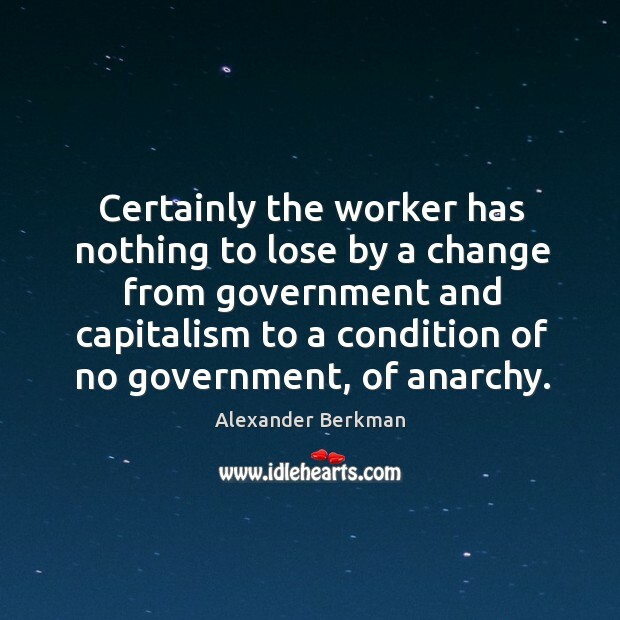 Are you not compelled to work for an employer? Your need compels you, just as the highwayman's gun. 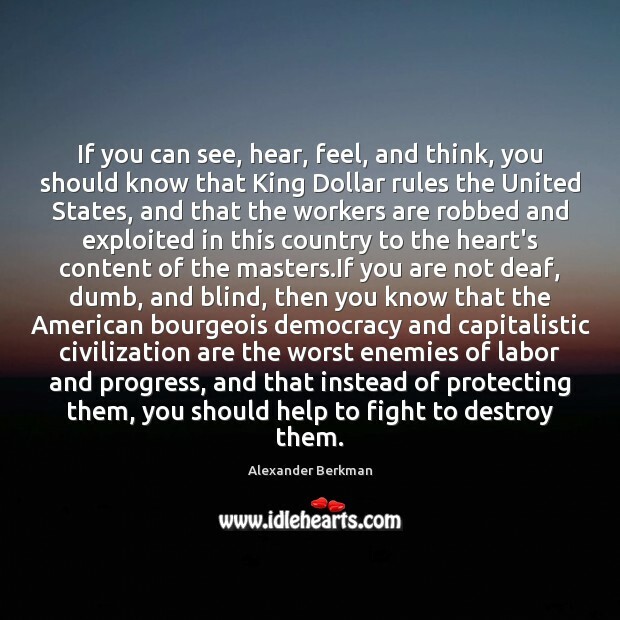 If you can see, hear, feel, and think, you should know that King Dollar rules the United States, and that the workers are robbed and exploited in this country to the heart's content of the masters.If you are not deaf, dumb, and blind, then you know that the American bourgeois democracy and capitalistic civilization are the worst enemies of labor and progress, and that instead of protecting them, you should help to fight to destroy them. 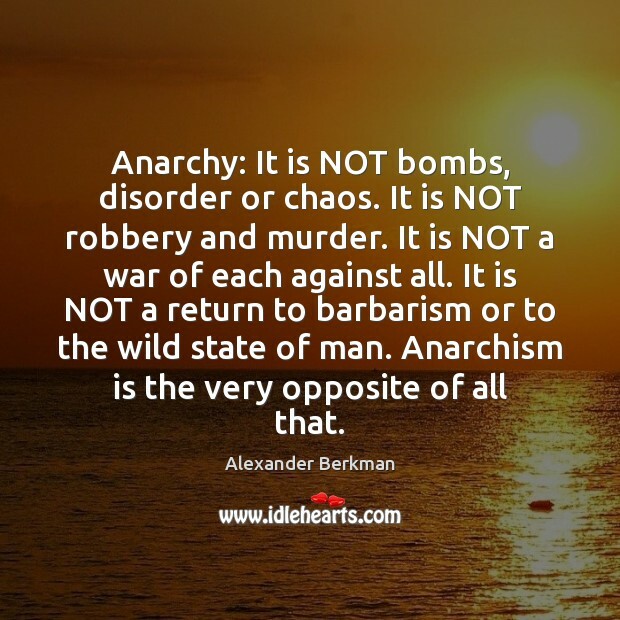 Anarchy: It is NOT bombs, disorder or chaos. It is NOT robbery and murder. 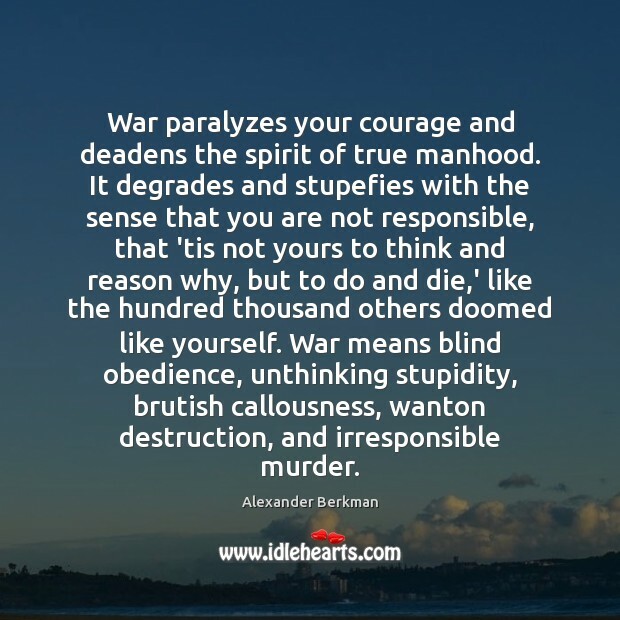 It is NOT a war of each against all. 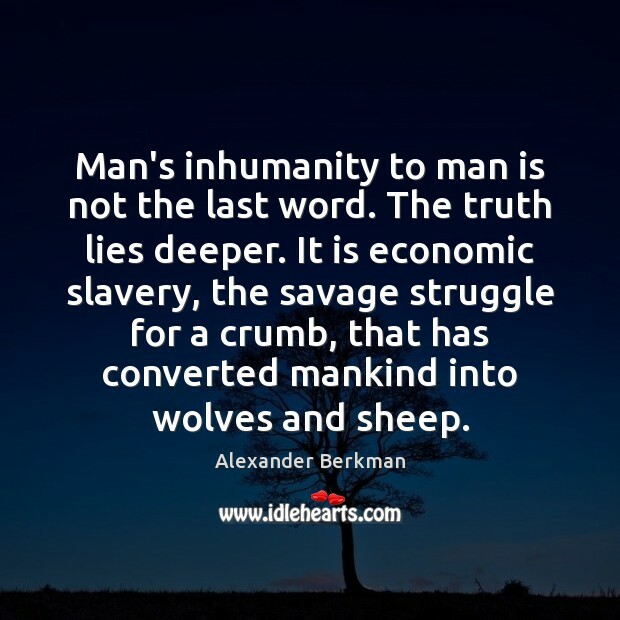 It is NOT a return to barbarism or to the wild state of man. 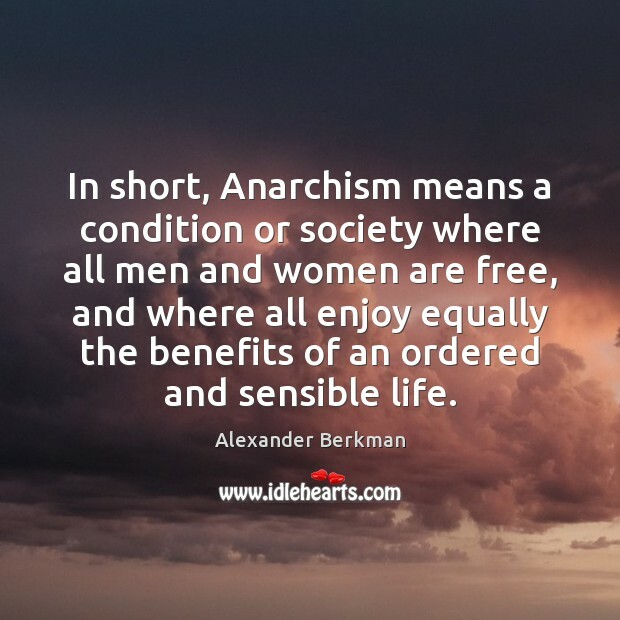 Anarchism is the very opposite of all that. 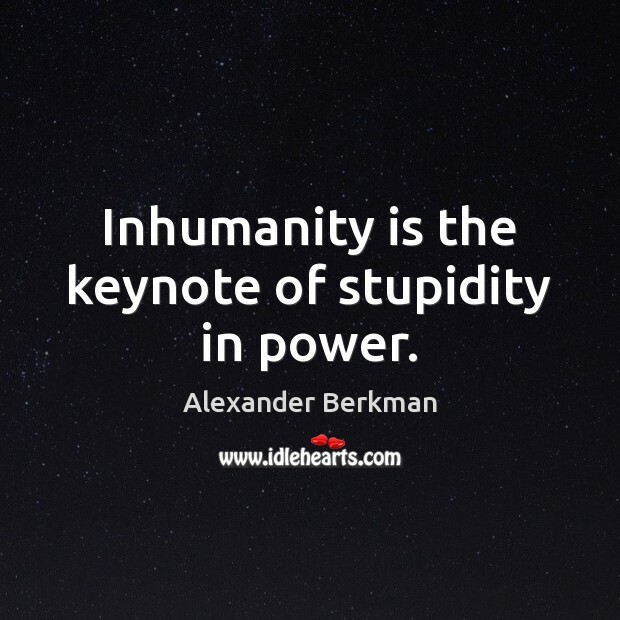 Inhumanity is the keynote of stupidity in power. 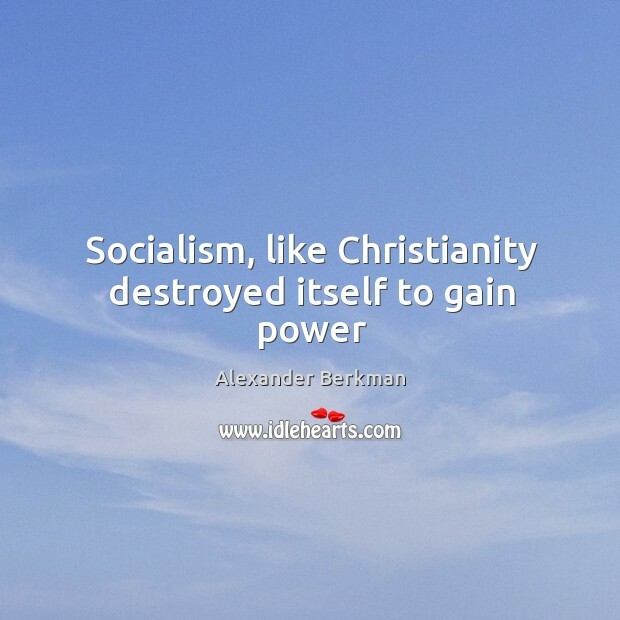 ...existence has become an unreasoning, wild dance around the golden calf, a mad worship of God Mammon. 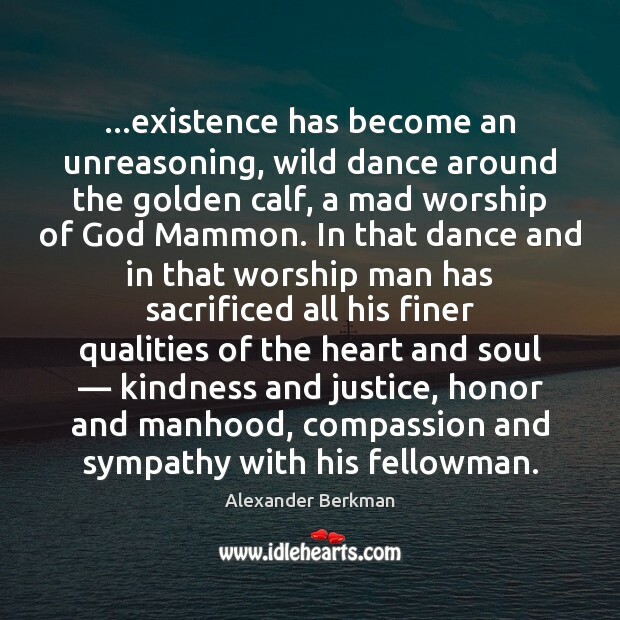 In that dance and in that worship man has sacrificed all his finer qualities of the heart and soul — kindness and justice, honor and manhood, compassion and sympathy with his fellowman. 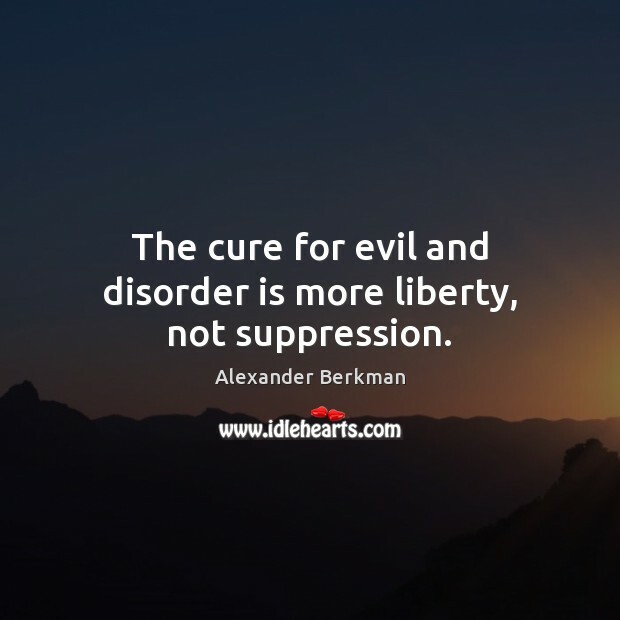 Are you not compelled to work for an employer? Your need compels you just as the highwayman’s gun. You must live … You can’t work for yourself … The factories, machinery, and tools belong to the employing class, so you must hire yourself out to that class in order to work and live. Whatever you work at, whoever your employer may be, it always comes to the same: you must workfor him. You can’t help yourself. 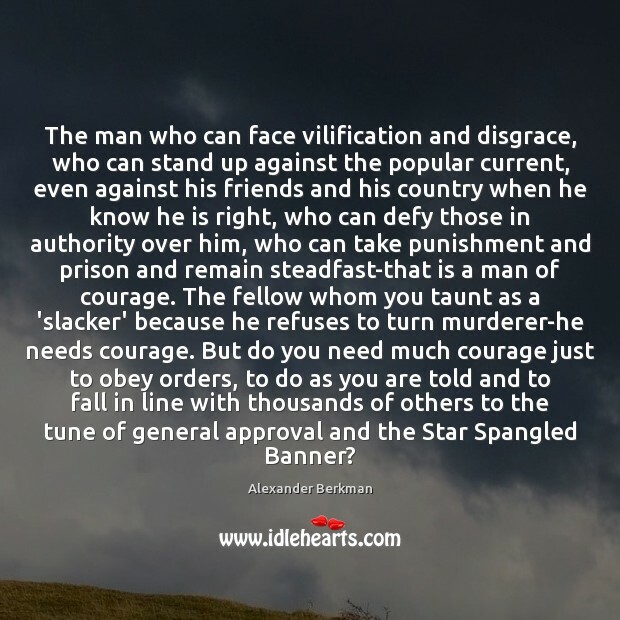 You are compelled. 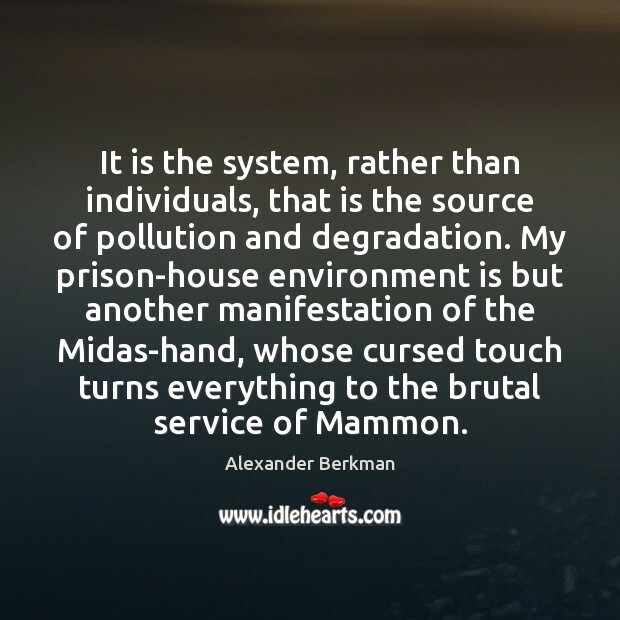 What is this thing we call government? 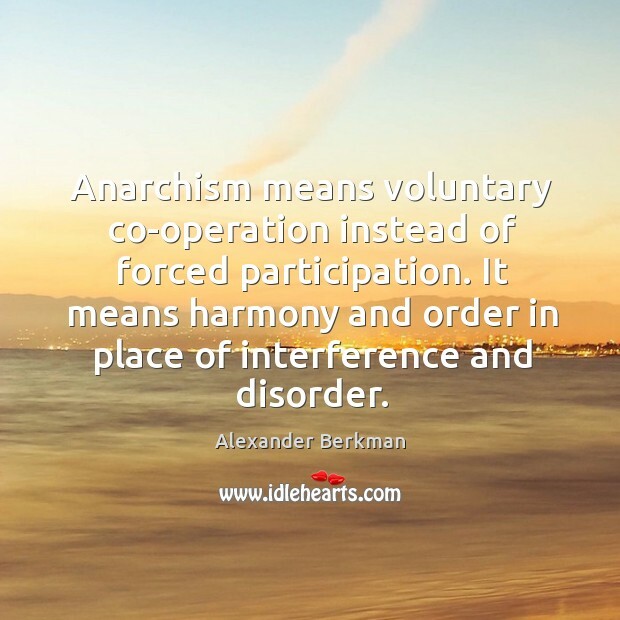 Is it anything but organized violence? 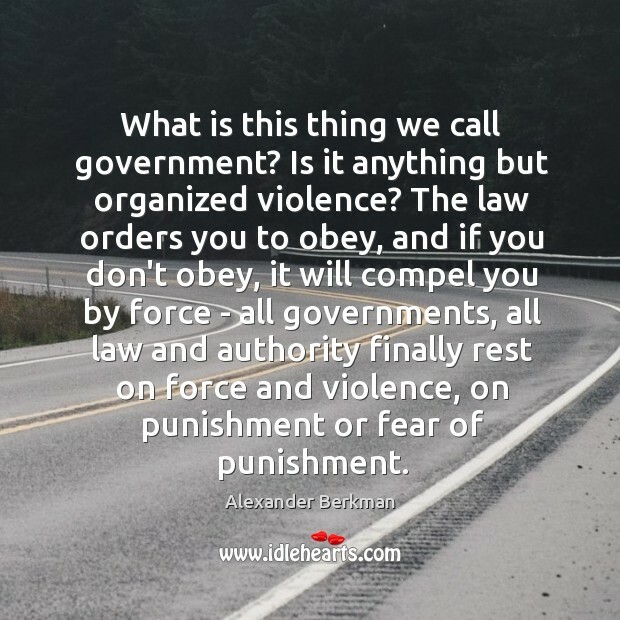 The law orders you to obey, and if you don't obey, it will compel you by force - all governments, all law and authority finally rest on force and violence, on punishment or fear of punishment.